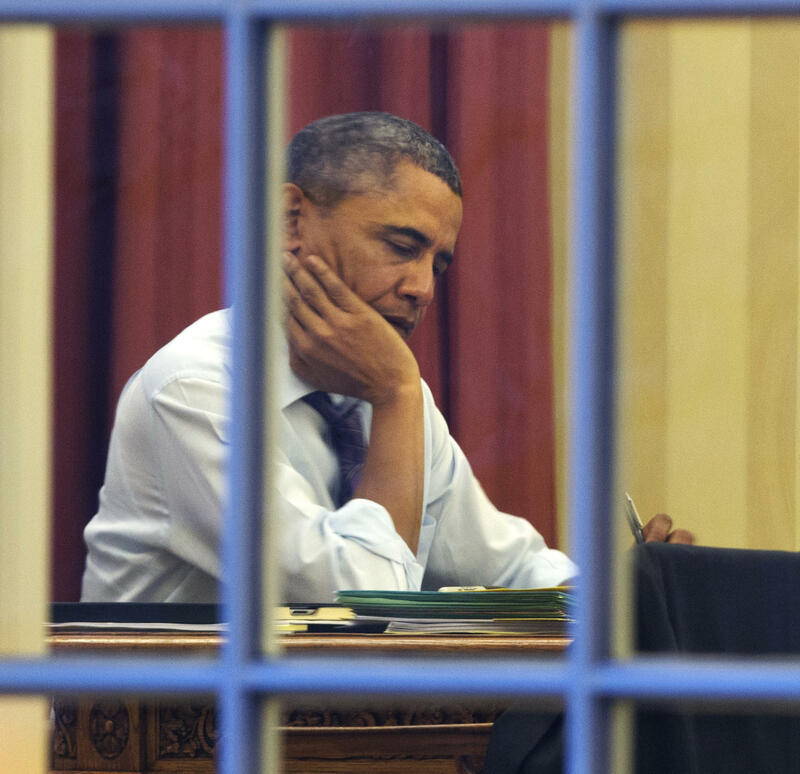 President Obama, working at his desk Monday night on the eve of his 2014 State of the Union address. "Across a wide range of topics, including retirement security, moving forward on his climate change and energy transformation agenda, there's a lot that he has the authority to do," said senior adviser John Podesta. Where the White House and Justice Department agree that Obama can, he will take such executive actions in the coming year, Podesta said. There will likely be arguments, of course, about whether some such actions usurp congressional powers and are therefore unconstitutional. Talk about a more proactive president would seem to reinforce the sense that though Obama has expressed skepticism in the past about the use of executive orders, "the White House is reorganizing itself to support a more executive-focused presidency and inviting the rest of the government to help," as The Washington Post reported over the weekend. The order about the minimum wage and federal contracts will raise the pay from the national minimum of $7.25 an hour to $10.10 an hour, The Associated Press and other news outlets say. The change applies only to new federal contracts, and not to renewals of existing agreements. Podesta said Obama will talk not only about that executive order tonight, but will renew his push for an increase in the federal minimum wage for all workers. During the State of the Union, Podesta added, Obama also will make the case that a bilateral security agreement with Afghanistan is still in the best interests of the U.S.
And, Obama will talk about signs that "we have a little bit of wind at our back now on the economy," Podesta said, and what the administration wants to see done in the coming year to keep the recovery going. The State of the Union address begins shortly after 9 p.m. ET. We'll be live blogging and will stream both the speech and NPR's coverage of it. Come back as the time approaches.